The Furever Home Friends are all dogs who have lived in a shelter at some point in their lives. Some have found, and some are still looking for, their furever home. This series of children's books tells the stories of real dogs and their journeys to adoption. Each book also introduces kids to a new social issue--like adoption, animal abuse, discrimination, body image, self-confidence, and more. Chicago author Savy Leiser founded The Furever Home Friends in April of 2017. The company started as a Kickstarter project, where Savy raised over $7,000 from over 140 backers in 30 days to get the series started. 10% of all profits from Furever Home Friends merchandise benefits a no-kill animal shelter in Chicago. Our current beneficiary is ALIVE Rescue in Roscoe Village, where Chewie is from. Savy Leiser is a Chicago author, journalist, blogger, filmmaker, and teacher. She works as a music journalist for Halftime Magazine and teaches creative writing workshops at Open Books in Chicago's West Loop. When she's not running The Furever Home Friends, Savy embraces her alter-ego as a young-adult author. She holds a B.A. in Communication and a certificate in Creative Writing for Media from Northwestern University. Go 'Cats! She is currently working on earning her Master's in Writing & Publishing at DePaul University. Dolores (Lola) Leiser is a Chicago-area dog mom. After retiring from her previous career as a corporate event and party planner, Lola's work with The Furever Home Friends brings her back to her one true passion: dogs! She is the mom of the famous Princess Allee (and Allee's brothers, Buddy and Sam, who are featured in the book)! She is excited to work in sales for The Furever Home Friends because she wants to spread our mission of teaching kids & helping dogs as far as possible! Christy earned her B.F.A in illustration at Savannah College of Art and Design in Savannah, Georgia. She is now pursuing a Master's degree in Art Education at the University of the Arts in Philadelphia, Pennsylvania. She is passionate about all facets of the arts, especially when it concerns younger generations. "Smile, Chewie!" Is her first illustrated children's book, and she hopes to illustrate and continue to teach art classes in the future. Brenda is attending The Rhode Island School of Design for film, animation, and video. She is an illustrator at heart who enjoys painting in oil and illustrating digital portraits. You can find Brenda's work on the cover and interior of "The New Old Stock" magazine, issue 2. Before pursuing an art career, Brenda was a child caretaker who often encouraged artistic expression with her employer's children. So naturally, this project has reflected a wonderful fuse of her artistic interests while still taking part in narratives that will bring joy to children's lives. Brenda will graduate with a BFA in 2019. Tralon (Tray) is currently a digital marketing strategist in Atlanta, GA. After obtaining a B.S. in Communications from Northwestern University, he earned a master’s degree in Mass Communication from the University of Florida in 2017. 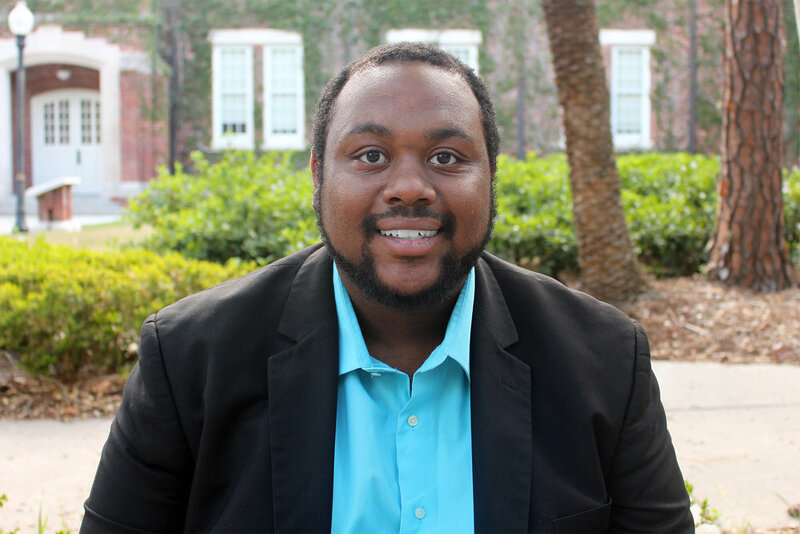 Using his first love of statistics, Tray is motivated by telling good, compelling stories. A passion for storytelling and making the world a little better every day brought him to The Furever Home Friends. In his free time, you can find Tray in a bowling alley, trying a new restaurant, or recording a podcast in Atlanta traffic.